1. 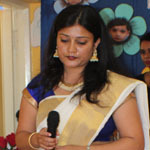 Leader in Montessori Education with over a decade of experience of developing 10000+ Children and 500+ Teachers. 2. Leader in Education Technology (digital technology) and creator of highest number of digital learning contents for pre-school education including interactive digital contents for children. 3. Provides additional revenue potential to its edu-business partners through a basket of products (without any extra cost) such as Certified Montessori Teachers Training Course, Vedic Maths Course, Abacus Training and Virtual Robotics program for children (under development). 4. 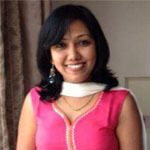 Supports its edu-business partners through unique Technology enabled "Smart Support Package". Click here to know more about our "Smart Support Package". 5. Based on demographics and business partners budget. Complete the form below for knowing Bright Edu Mont curriculum, support, help videos & packages. Bright Edu Mont Program stems out of our intent to share this unlimited growth potential enabled by our domain knowledge, additional educational programs and digital technological expertise, with all our edu-business partners in mutually rewarding terms by doing away with conventional practice of collection of royalty fees from franchisee. So Bright Edu Mont Program is not only a royalty free program but also an additional revenue potential for our edu-business partners. Bright Montessori Teachers Training Course for center owner (6-months Certificate Program). Anytime anywhere Teachers' Professional Development training program for your teachers. Online training for Centre Head for lead conversion, operational procedures and best practices. Preschool curriculum including guidelines to do Montessori Activities. Mobile app subscription to connect to parent, fees management etc. Centralised lead nurturing assistance (email drip marketing and SMS). Full page microwebsite with centre location integration in our website. Participate in our webinars, conferences to keep yourself updated with latest kids education trend and methods. Use of periodic e-newsletters for parents. Designs of handouts and pamphlets developed by us from time to time. Responding to all enquiry (through calls or website) that may directly come to us and referring to same to you. New center set up assistance. Are well informed and educated. Are interested in educational services. Have a zealous and unfailing attitude. A minimum of 1500 - 2000 Sq.ft. in a residential area with ground floor of any building and about 500-700 Sq.ft. open area for Kids' play and games. Preference will be given to independent houses in easily accessible, prominent, quiet locations with good frontage for great visibility in the desired area. Access to a gamut of synergistic educational services :It is not only operating a pre-school or tutorial but also an optimised operation of several synergistic educational services. Better utilisation of resources and bigger target customer base helps you achieve a much higher ROI. (Return On Investment) of your time & money. Financial returns :We are recognized, perhaps, as the best in the industry as we have multiple and proven processes that cater to primary as well as secondary revenue streams for our partners. Association with a rapidly growing, successful and emerging brand:You become a part of a successful educational brand known to be leaders in their segment. Professional Management of the right Caliber:Managed by Highly Qualified (credentials from IIT and IIM) and highly experienced Management Team in the pre-school education field. We will hold your hand in all aspects from strategy to implementation. Proven Educational Methodology:The methodologies chosen by us are not only proven and established worldwide but are also perhaps the best recognized as one of the most highly accepted & adopted methods in the world. Customers Goodwill:Our services are well validated by customer. We have tremendous goodwill and word of mouth publicity for the regions in which we currently operate our centres. We are confident that your centre will also enjoy similar privileges. Integrated Corporate Identity:We will assist you in unifying all motivational images through well designed Corporate Identity, space planning, Advertising and Marketing to employee management etc. Centralized Procurements:Consolidated purchase and supply systems catering to the requirement of all centres will ensure the benefits of large scale economies which we will share with our partners. Be proud - You are now in the business of shaping a better future for tommorrows children, by educating them TODAY !!! You will have the rights to market our other products such as Montessori Teachers Training, Mental Maths etc. in your locality on commission basis. This provides an opportunity to earn more through lateral product expansion without much investment of capital and time from your side. These additional products will also lead to more word of mouth and popularity of your centre in the locality. I am associated with Bright Kid since 2012. We started our first center in Amrutahalli (Jakkur) in Bangalore. With the active support from Bright Edge Edusystems, we were able to reach 80 plus students in the second year of operation. This encouraged me to open a second center in Coffee Board Layout, Bangalore. We thank Bright Kid Team for giving their support in terms of academics, marketing, operational matters and training . We wish them all the best. We opened our first Bright Kid Center in Medahalli (K R Puram), Bangalore during January 2016 and we have 40 plus students in the first year of operation itself. I would like to highlight the support and training provided by the Franchisor. Each and every topic was systematically covered. In particular, topics on Safety, Performance Management Process & Daily class operational duties were perfectly covered and it helped in ensuring that the teachers are aware of their responsibilities from day one. My association with Bright Kid is since 2011. 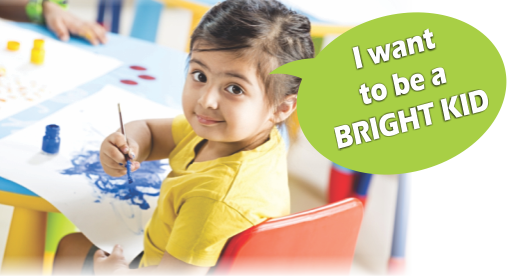 I always have admired the activity based learning concept of Bright Kid. In 2014, I started my own centre in Hegde nagar, Bangalore. With the support of the Bright Kid team we are growing and are able to manage the show very efficiently. With the various training modules, running the school has become very easy and curriculum makes us different from others. This has been an Amazing Journey, I have learnt so much in past 2 years - this is my third year running Bright Kid Montessori House at Mathikere, Bangalore. I am praying that I can pass it on to my Kids so that they receive the benefits and find joy in each class.Not only the kids are learning, Day to day even I am learning many things from the kids.Overall it's an fabulous experience for me.We thank Bright Kid Team, for your Support and co-operation. It has been a golden journey with Bright Kid Montessori House since 2014.We opened our centre in Byadarahalli, Bangalore and we are successful having 50+ students in the 3rd year. We have received in-numerous support from the franchisor who helped and guided us at each step, be in terms of management, academics, advertisement or activities. "A goal without a plan is just a wish". We thank the Bright Kid team for the cooperation and support provided to us to reach our goal. © 2012- 2016. Bright Kid Montessori House. All rights reserved.